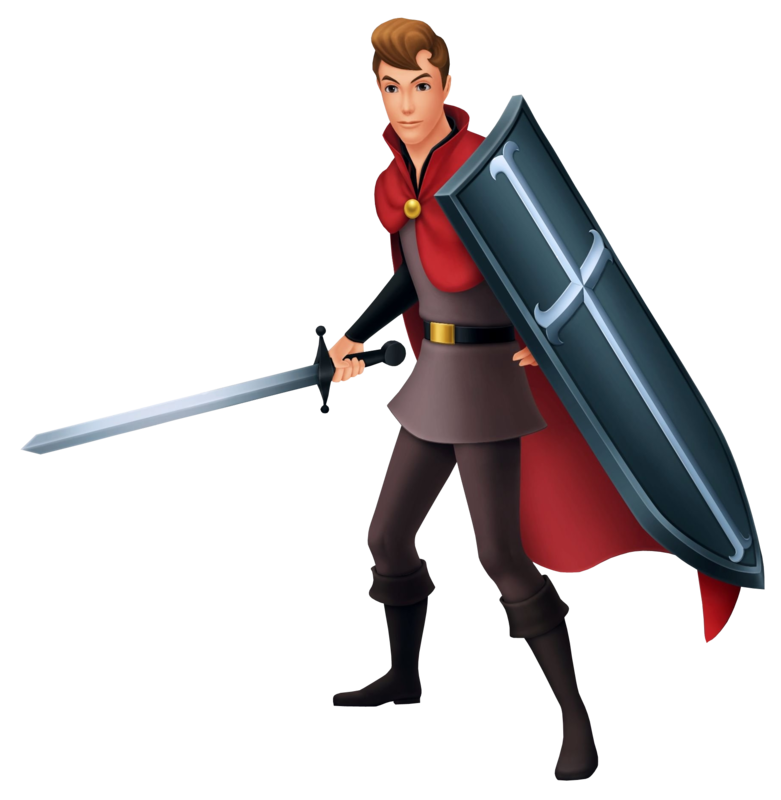 The prince of a neighboring kingdom, Phillip is destined to wed Princess Aurora, only to fall in love with the pheasant girl Briar Rose in the woods, unaware that Rose and Aurora are one and the same. Fearing that Phillip is the key to breaking Aurora's curse, Maleficent kidnaps the prince and holds him captive in the dungeons of the Forbidden Mountain. With Aqua's help and armed with the Sword of Truth, a gift from the Three Fairies, Phillip fights through Maleficent's hordes of evil and deals the final blow to the sorceress's dragon form. He eventually reaches his sleeping princess and frees her from her slumber with true love's kiss.